Organic white tea to protect and effectively aid skin regeneration. Organic rosehip oil to help minimise visible signs of ageing. Organic evening primrose oil for its effective healing properties. TIP: Do you suffer from dry, aging, or patchy skin? This gentle, rich yet balancing facial oil can be used directly on the complexion for very dry skin, or try adding 1-2 drops to your essential facial moisturiser every evening before bed for a richer moisturiser full of naturally active ingredients which help the skin to regenerate as you rest. 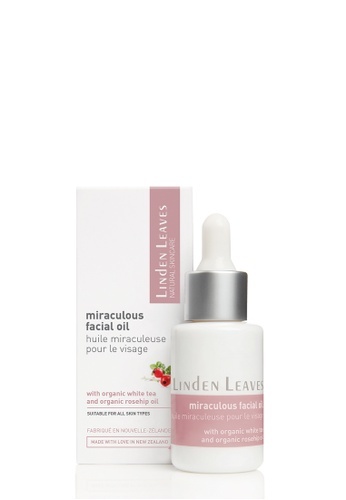 Can't find Linden Leaves Miraculous Facial Oil in your size?